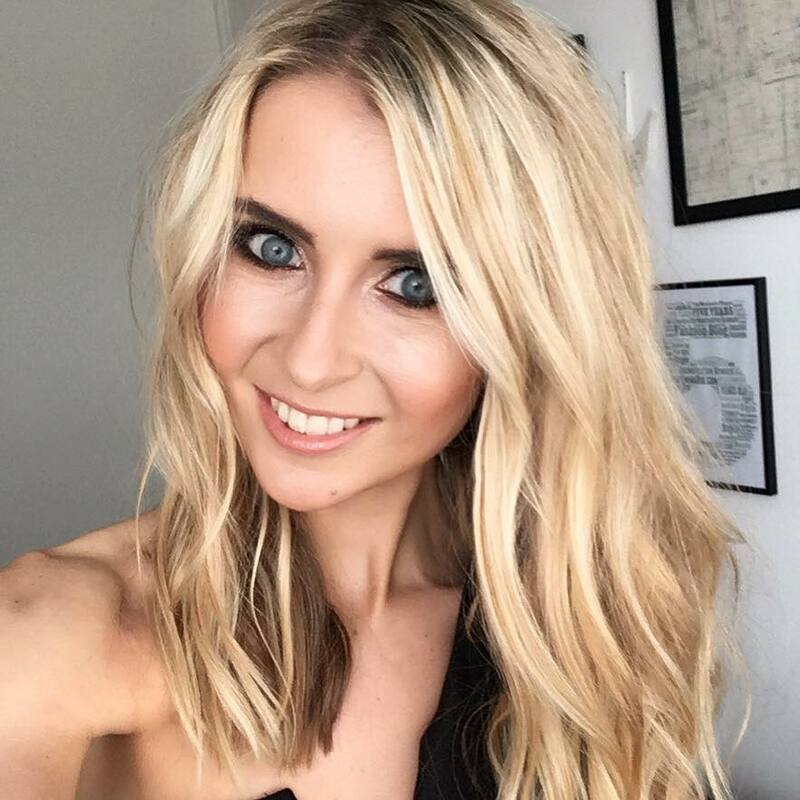 The other week, I headed out of Manchester City Centre to check out a tapas nestled away in Didsbury. Now I for one love Didsbury. East or West, Didsbury never fails to disappoint me with both it’s array of independent and chain restaurants and bars. You kinda get a real good mix in Didsbury. 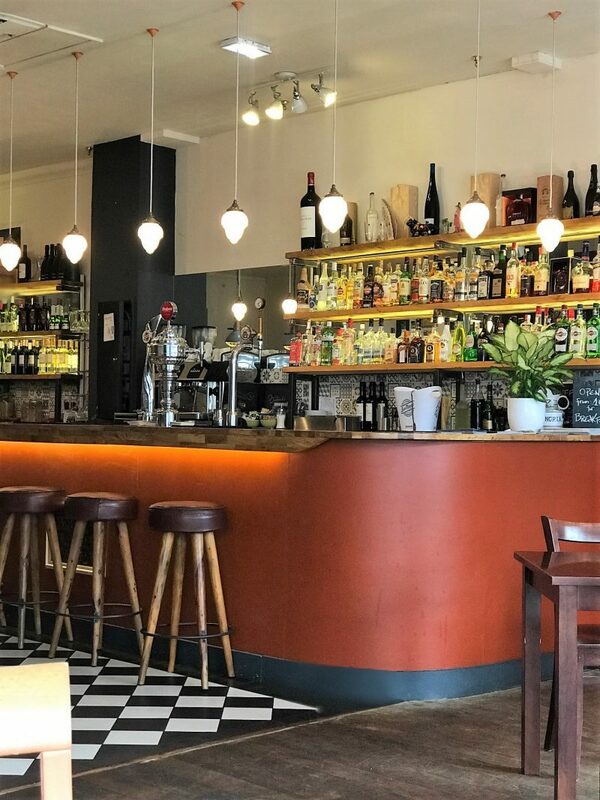 You get the quaint and cosy village vibes, yet the stylish, modern, ‘professional’ type eateries, where you can get all dressed up for your favourite glass of vino and food. 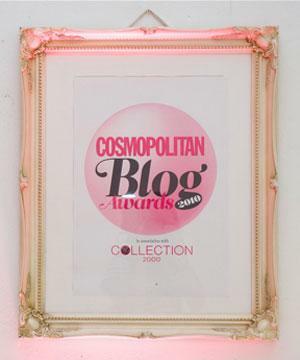 And lets not mention the lovely pubs which put on a fabulous Sunday roast, or the tiny one-in-one out cocktail bars that are truly unique. 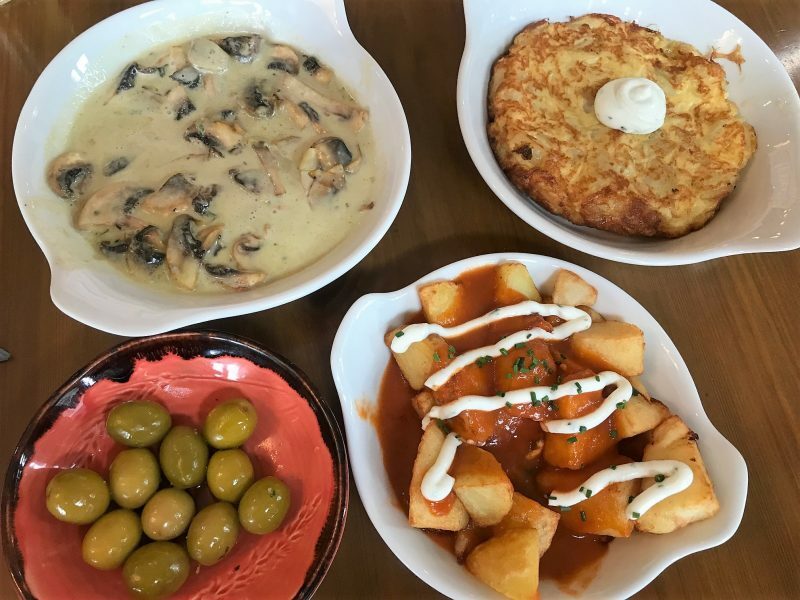 And then along came Rafa’s – a casual Spanish dining experience offering a range of delicious tapas, mains and specials. Of course, with an array of Spanish wines, spirits and coffees, too. 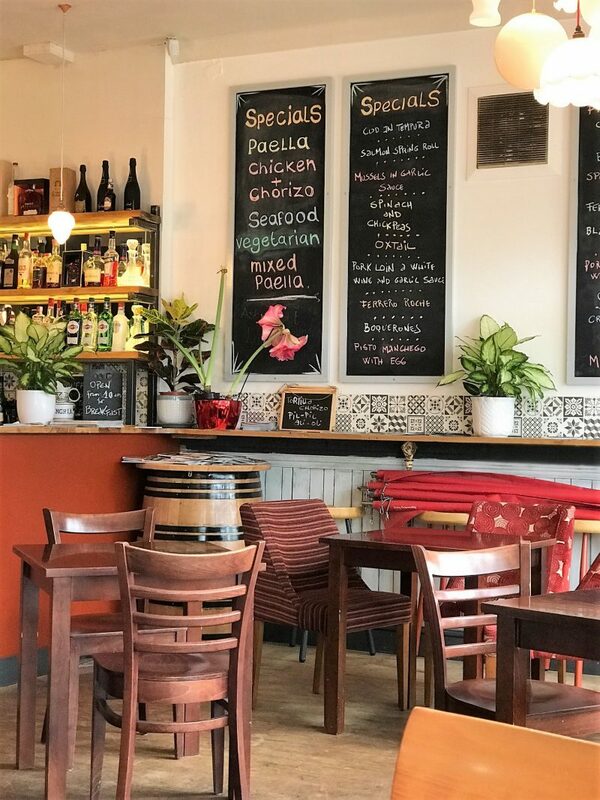 Rafa’s is brought to us by the team behind Manchester institution El Rincón de Rafa, which has been in the city for 25 years now. I went here for my birthday last year and bloomin’ loved the place. 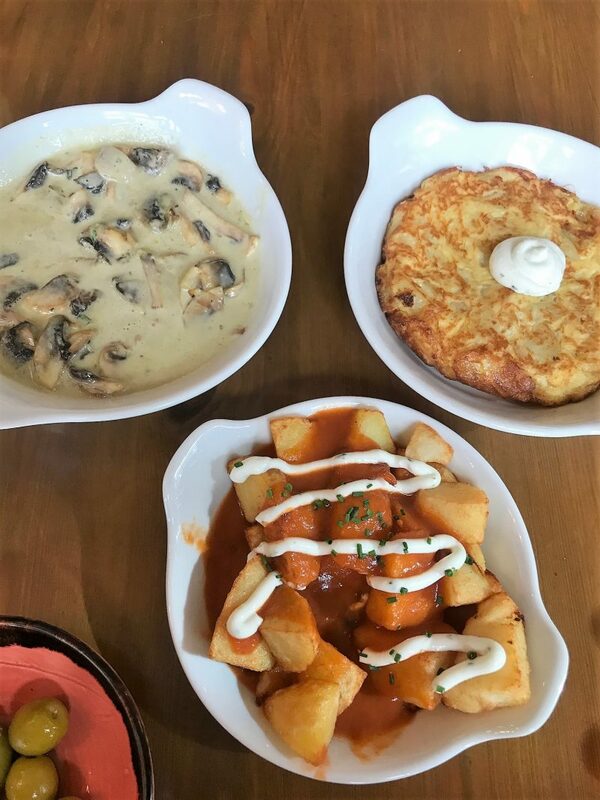 You know when you can tell a place is proud of it’s Spanish roots and offers up a range of the classic tapas dishes that taste so authentic? Well, that! 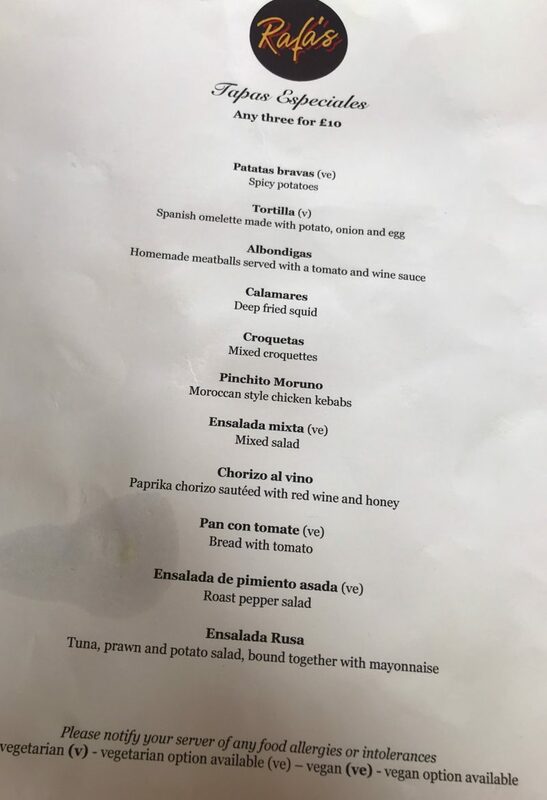 Also, from my experience at El Rincon, the way that the place was filled with what seemed like half of Manchester’s Spanish population could only be a good sign! With this in mind, I was excited to try out Rafa’s. 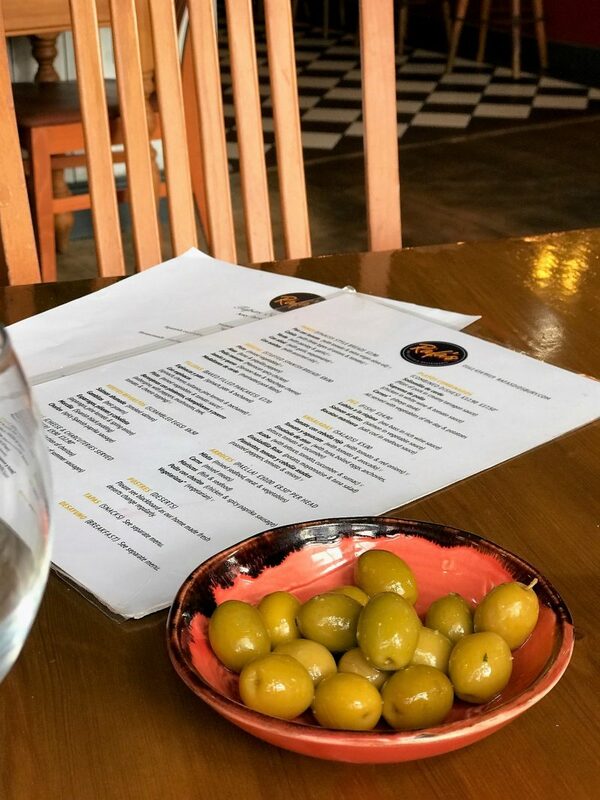 Myself and my sister booked in on a weekday lunch time, and I straight away browsed the wine menu as I love a good old Spanish Rioja to kick-start a tapas dining session. 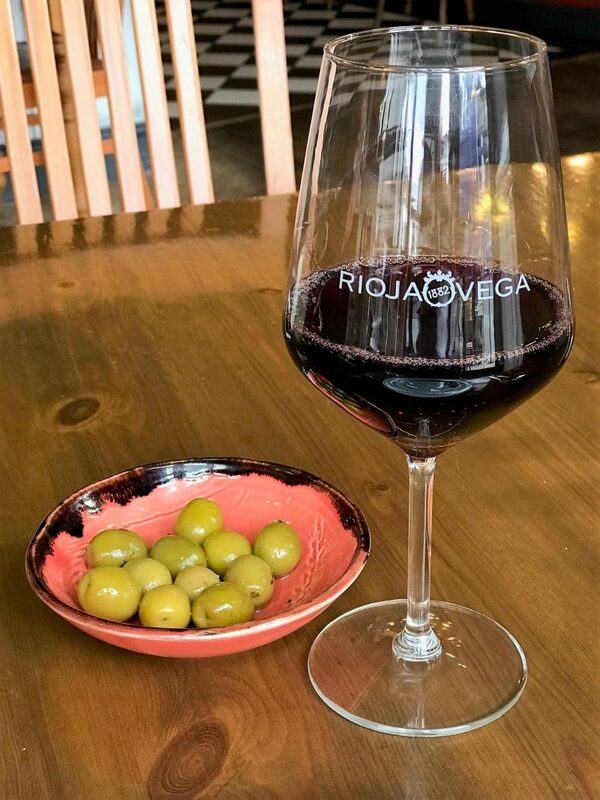 We ordered our Rioja Vega along with a little nibbler plate of Olives infused in garlic, and admired how beautiful Rafa’s restaurant was. 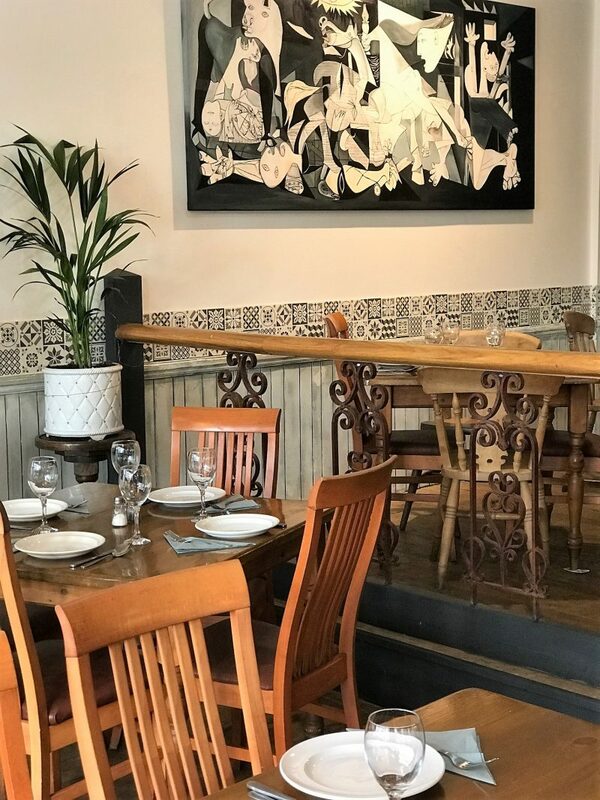 The team have really put the effort in to make this place represent a traditional Spanish tapas restaurant, with that authentic and classic touch of Spain. 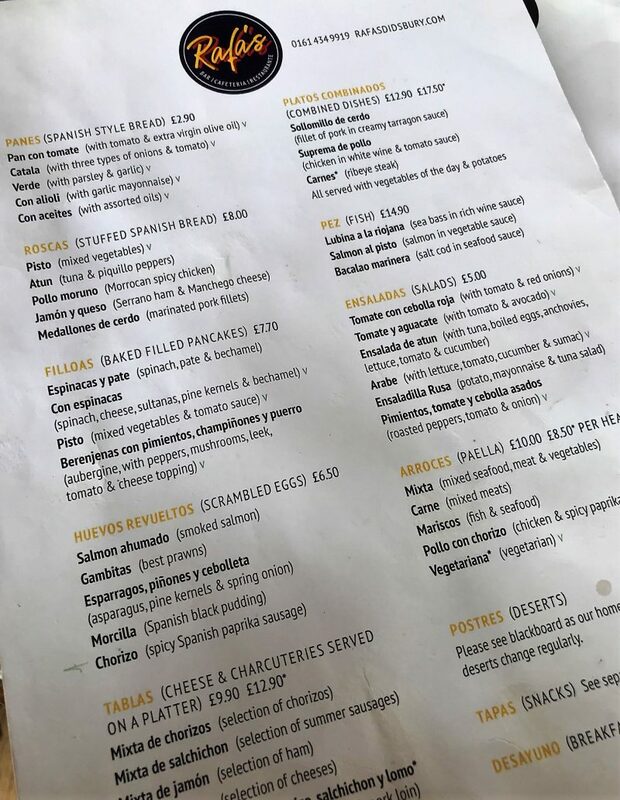 I love a good varied selection of tapas, and I’m equally a sharer when it comes to food just as much as I’m not a sharer, too. 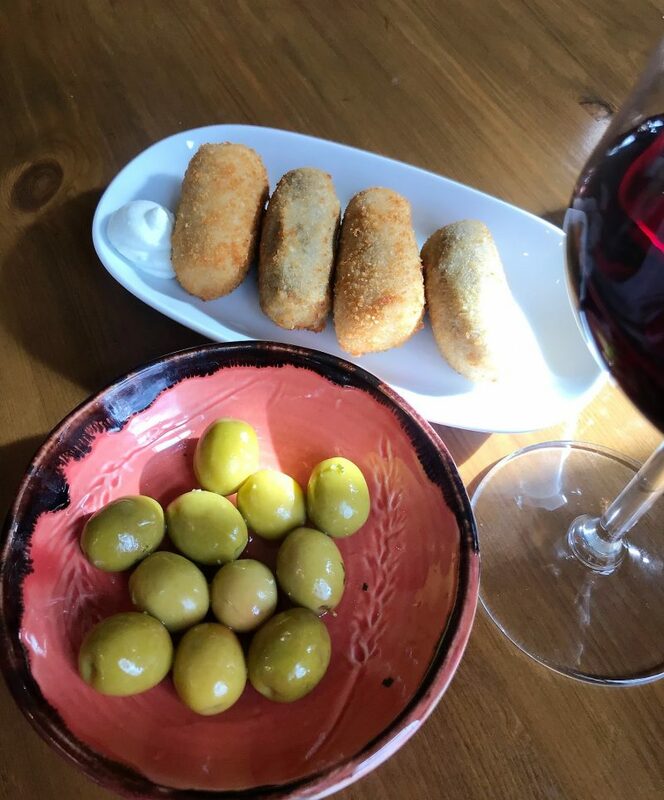 Sometimes I just love my food too damn much I don’t want to share, but there’s something about the nature of tapas that makes me change a little (as long as I can pick my favourite dishes!). We decided to order 3 dishes each, and have a pick at each others. 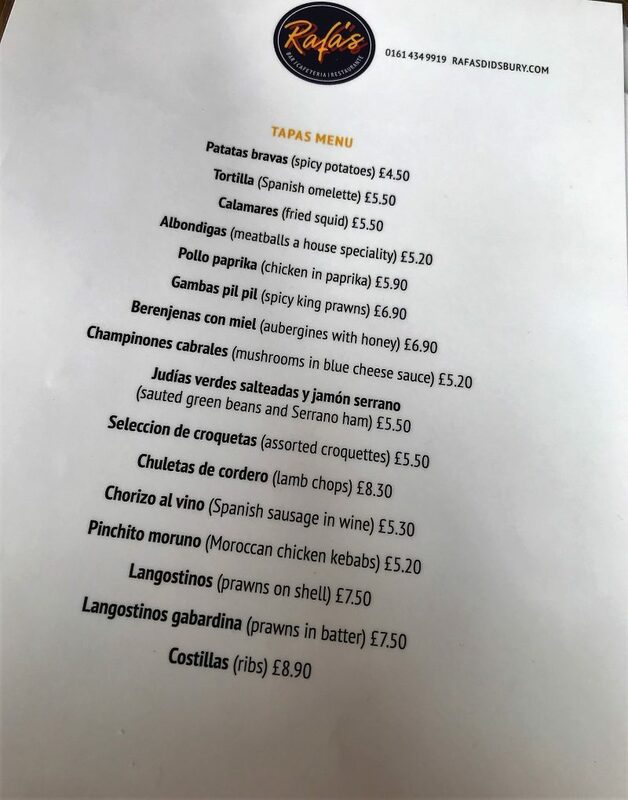 They also gave us the Lunch Specials menu, where you can get any three tapas dishes from the below menu for £10. I don’t know about you but I think that’s a reeeeally good offer! 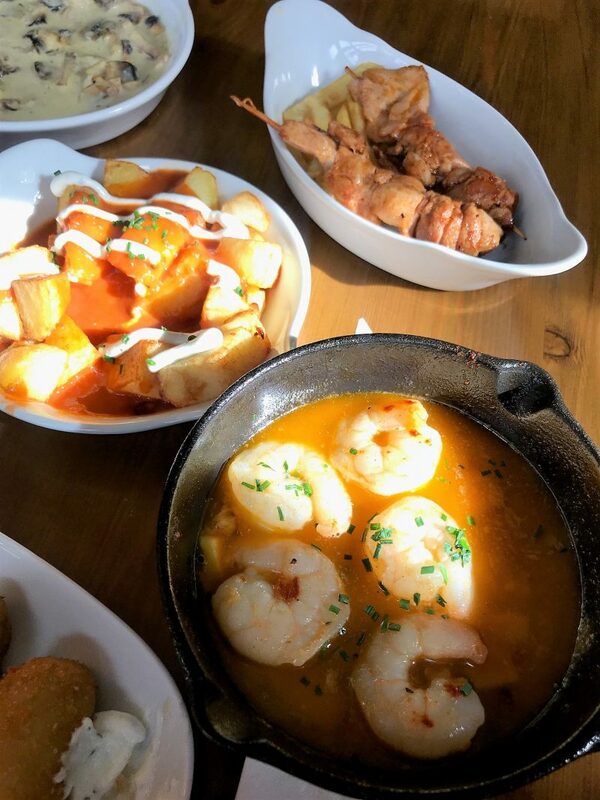 Anyway, I went for the Patatas Bravas (spicy potatoes), Croquetas (an assortment with cheese and mushroom) and Gambas Pil Pil (spicy king prawns). 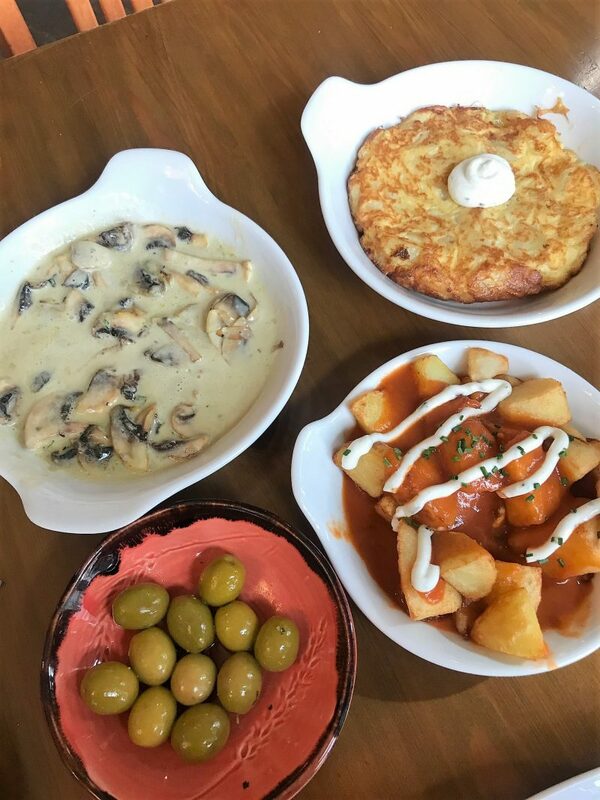 My sister went for the Tortilla (Spanish Omelette), the Champines Cabrales (Mushrooms in Blue Cheese sauce) and the Pinchito Moruno (Moroccan Chicken Kebabs). 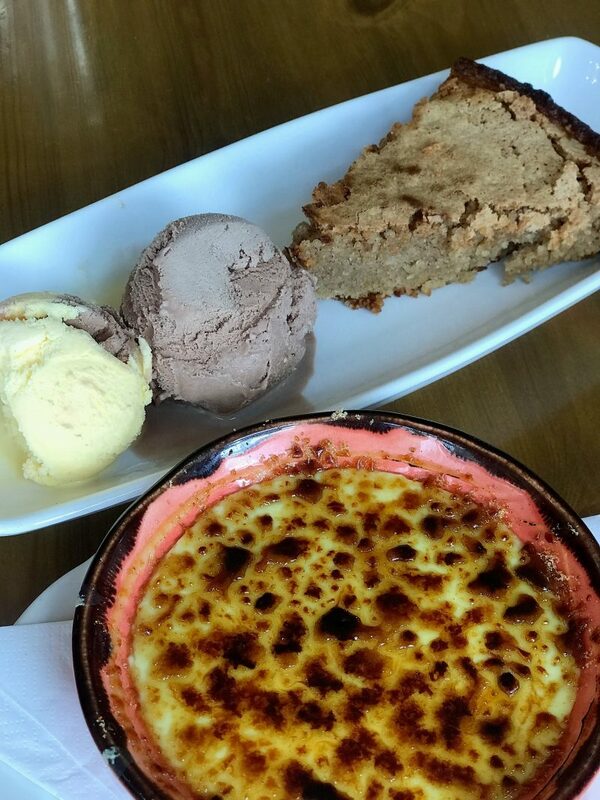 6 dishes between two, with a side of olives, was plenty for lunch time. For an evening meal, I’d suggest 4 dishes per person, as each dish was large enough, and we actually left a little bit too! 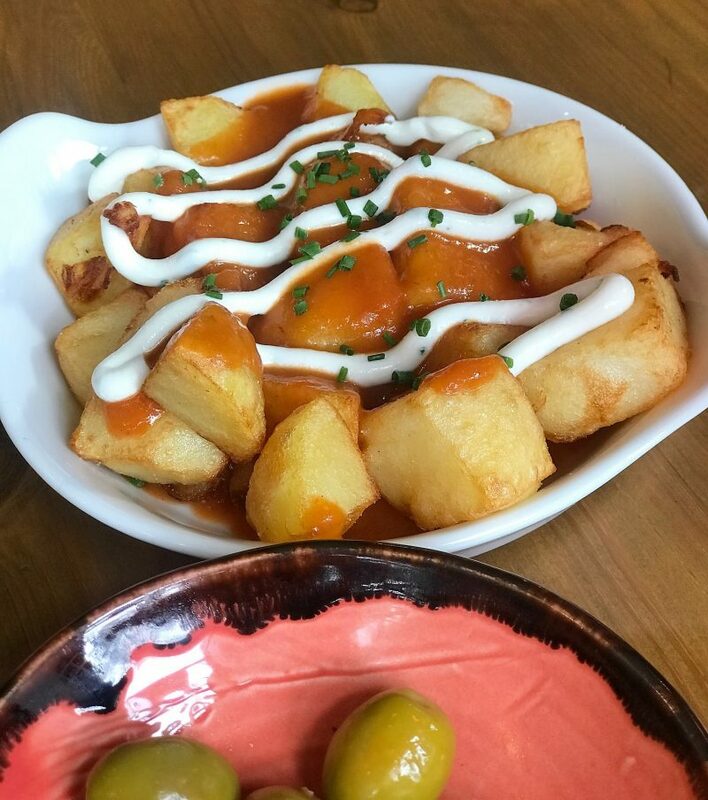 Just a quick note on the Patatas Bravas. So I’m a huuuuge fan of these and order them at ever tapas I go to, and the week before going to Rafa’s I went to a Tapas in Preston for a friends birthday. The Patatas Bravas were the biggest let down of the night. Just a bowl of fried potatoes swimming in a mushy tomato sauce – no herbs, no spice, no aioli. The assortment of croquettes were truly delicious. Bursting with tasty cheese and wrapped in a light breadcrumb, I could have demolished more of these, as they didn’t give me that overloaded, carb heavy feel either. The prawns were one of the best dishes I tried during my lunch visit: juicy, succulent and coated in a yummy garlic oil which gave them a unique kick. The mushrooms in blue cheese sauce were definitely a hit too, with a real indulgent cheesy sauce, and mushrooms cooked to perfection. Now the tortilla was another favourite, but this dish is soooo much bigger and more filling than expected! I could have easily filled up on this early, but seeing as it was one of my sisters orders, I let myself have a slice or two, and then had to tempt myself to not keep going back to it. All the food was presented lovely and brought out fairly quickly. None of the waiting malarkey that some tapas restaurants do. I also spied a lot of specials up on the boards around the restaurant which must get switched up daily, giving us even more choice than the three menus! Even though we were more than satisfied, we thought it would be rude not to finish off with a touch of Spanish desserts. I mean, you just would, right? We went for the Crema Catalina and a truly amazing three ingredient cake (I forgot the Spanish name for it, but it’s pictured below with scoops of ice cream and tasted just like a sweet almond bakewell tart, but more dense and home made). The cake was super sweet and just how I like it: crumbly, rich and full of flavour. 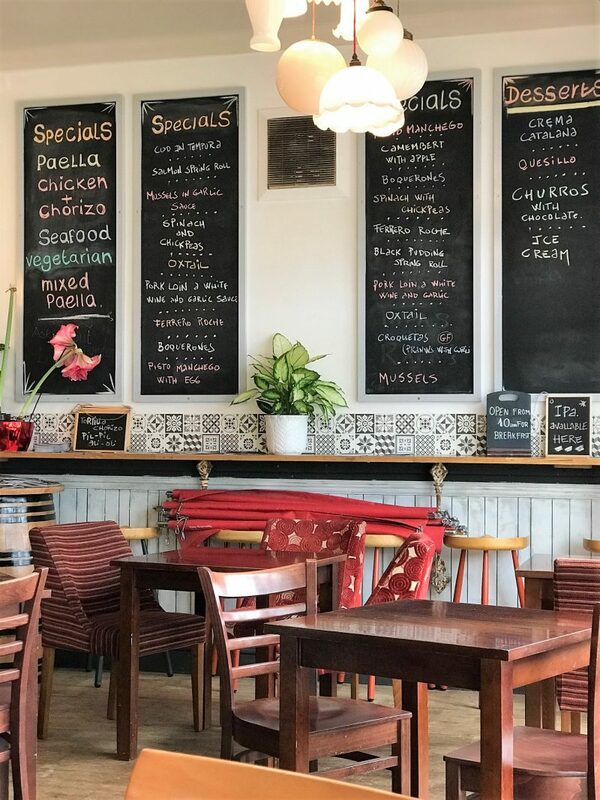 From the friendly, warm service, to the extensive menu choices, reasonable prices and delicious authentic food, I’d find it hard to fault this place. 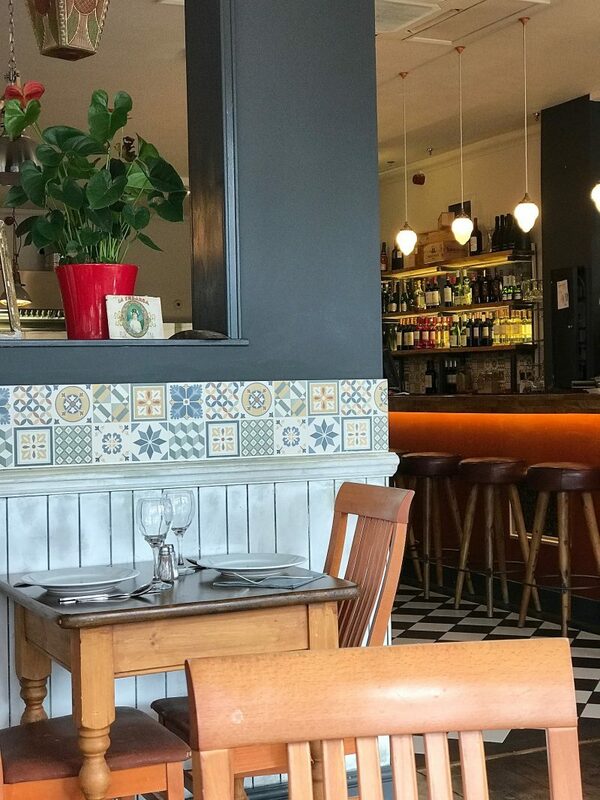 A real traditional Spanish gem in the heart of Didsbury, and a must for those who enjoy a taste of Spain, tapas style. Plus, I can away having discovered a new favourite wine (Rioja Vega) and a three ingredient amazing cake!